• Is it hard for you to be around happy people? 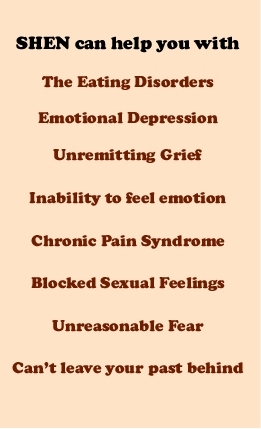 • Are your emotions upsetting your body? • Are you suffering with overlong bereavement? • Are you afraid when there’s nothing to fear? • Have you lost hope of ever feeling better? • Are you sick of your emotional baggage? Years ago, while he was researching emotion and the body, U.S. scientist Richard Pavek discovered how painful emotions become trapped in the torso. This insight led to the development of SHEN, a powerful yet gentle hands-on method of healing old emotional wounds and regaining one’s health and self esteem. 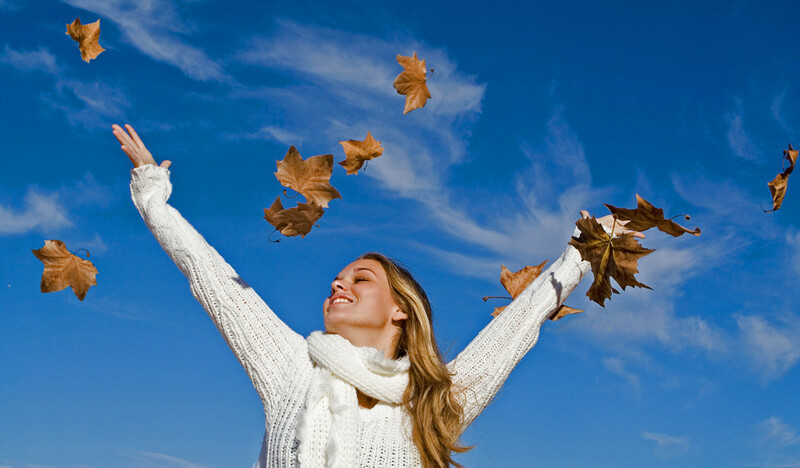 SHEN unlocks and releases the empowering emotions of confidence, love and joy enabling us to move into a happier and healthier life, one where our physical organs function properly. A relatively brief series of SHEN sessions frees most people from their painful emotional past. ‘magic bullet.’ It will take commitment on your part and a willingness to briefly feel the painful emotions as they rise and flow out from your body during your sessions. No, SHEN is not magic but it is far faster than traditional approaches — and it gets the job done. Our emotions are in our torsos, where we feel them. Painful emotions of grief, fear, and shame trigger the Auto-Contractile Pain Reflex (an instinctual physical spasm that prevents broken bones from causing tissue damage). But since the emotional pain is inside the contraction it never lets go, which is why painful emotions never seem to end. You feel this contraction when your gut clenches in fear or shame or when your heart hurts while grieving. SHEN Practitioners are trained how to use the Qi in their hands to release the contractions and restore emotional health. All fields in physics have flow patterns and the human Biofield is a field in physics. 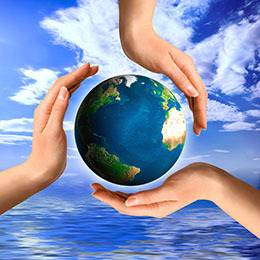 Painful emotions obstruct and block the normal flow patterns of Qi in the Biofield; in SHEN we use the Qi from our hands to remove blockages at the emotion centers and bring the Biofield flows back to normal. Then you’ll be able to feel joy and confidence, and re-connect with your lost Self esteem. There is no question that bottled up emotions effect very aspect of our lives, from our body’s health to our relationships – even as we try to avoid them. Sometimes these painful emotions are buried so deeply that we don’t realize we have them, but our friends know because our actions reveal their presence. The goal of every therapeutic approach is to get you in touch with your inner emotions and bring them up to be fully experienced in a safe way, because in experiencing fully them they lose their power to affect you. 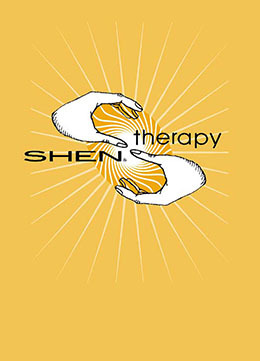 When you’re ready, SHEN Therapy can be your path to a better future!